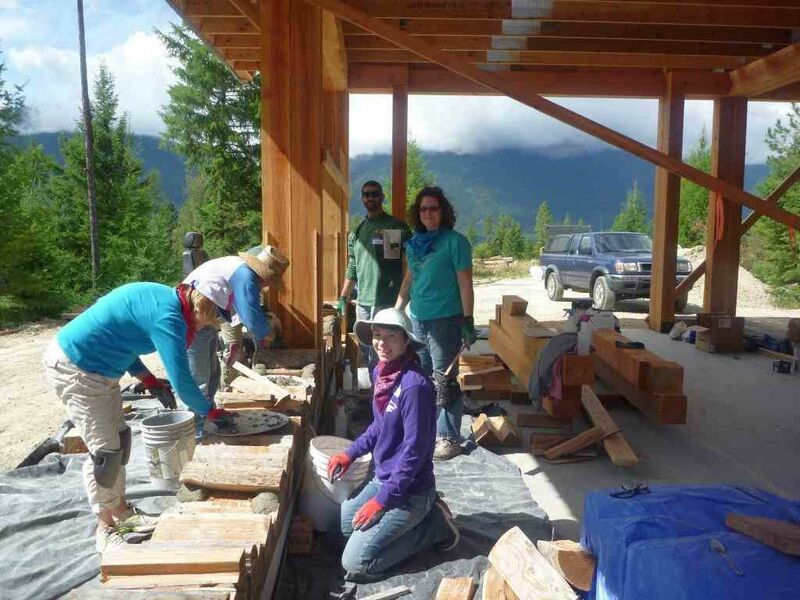 Matt & Sara of Stomping Moose Farm near Bonners Ferry, Idaho had planned for months to host a cordwood workshop. 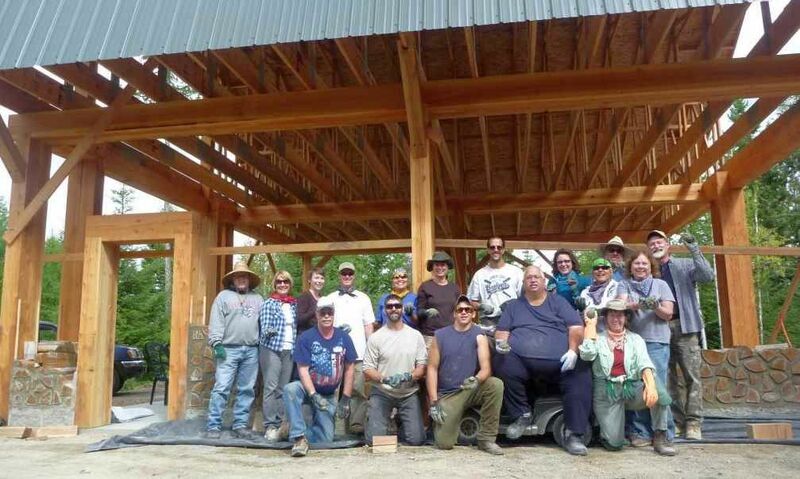 They had everything prepped and ready when we arrived in August and along came 15 interested, excited people to learn how to build using cordwood. A wonderful camaraderie developed and most folks were reluctant to leave. 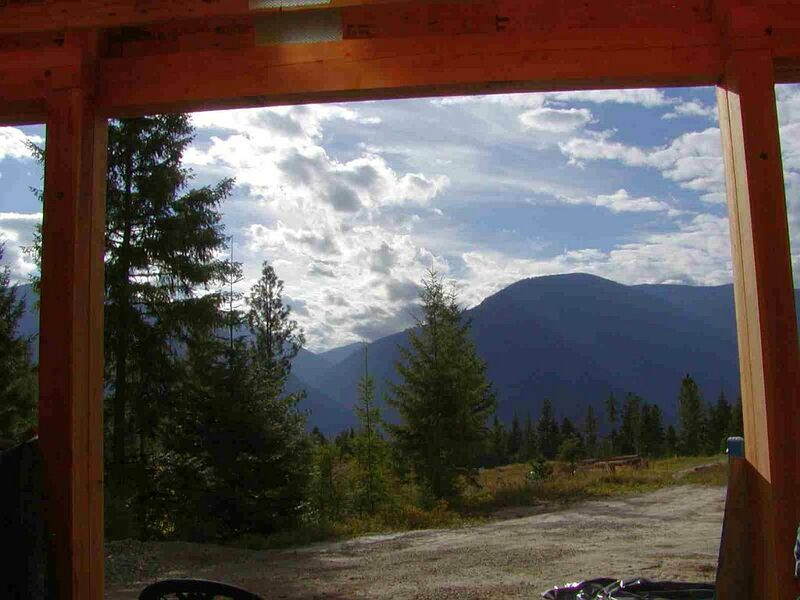 Here are some photos of this wonderful workshop in the Selkirk Mountains. 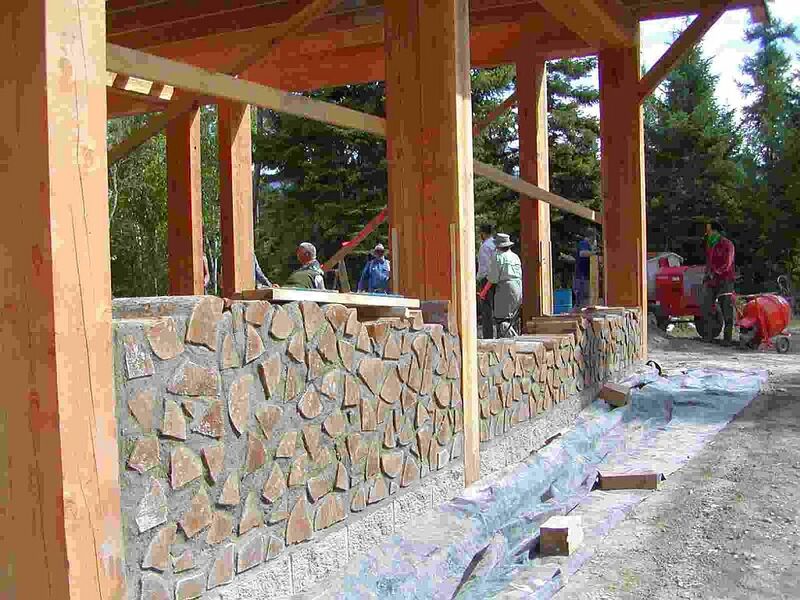 Three days of instruction and hands-on mortaring sessions produced a significant amount of completed wall (approximately 140 sq. ft.). The weather was perfect and folks were helpful and kind to one another. 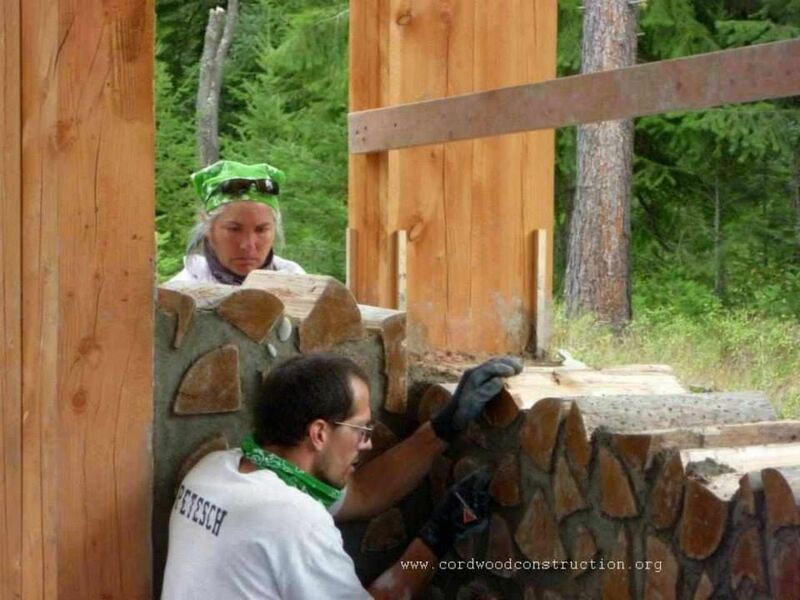 Focus, cooperation, and log placement skills are essential to a good looking cordwood wall. 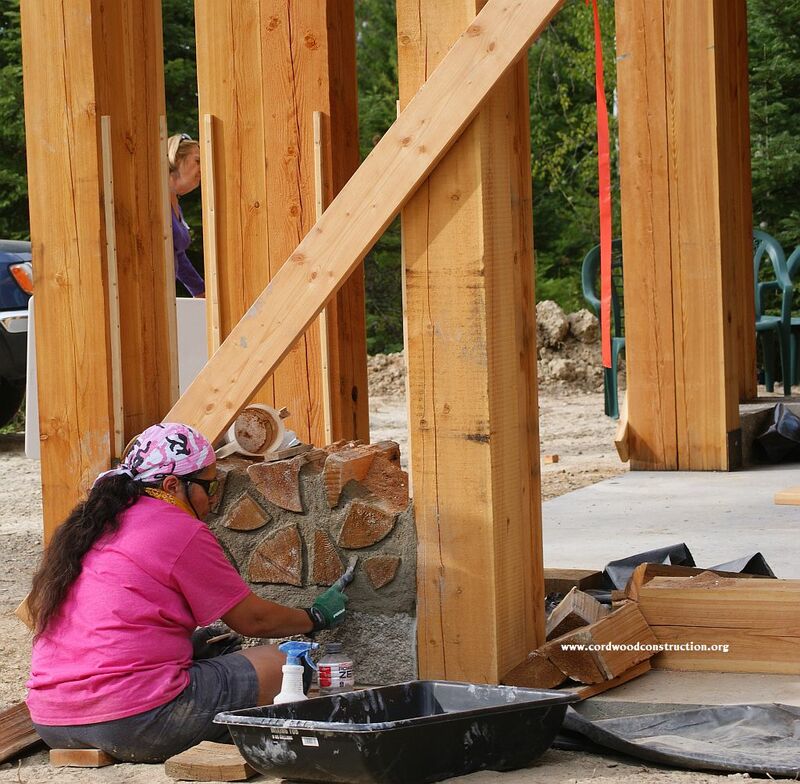 Tuckpointing is a learned art form that helps to reveal the magic in the wall. If you enjoyed this post please make sure you click on Follow to receive these blog posts as they are created. 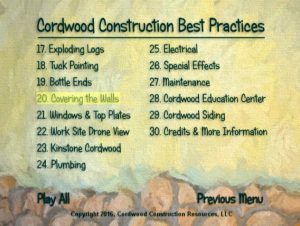 This is the 218th cordwood construction post in the last 5 years. 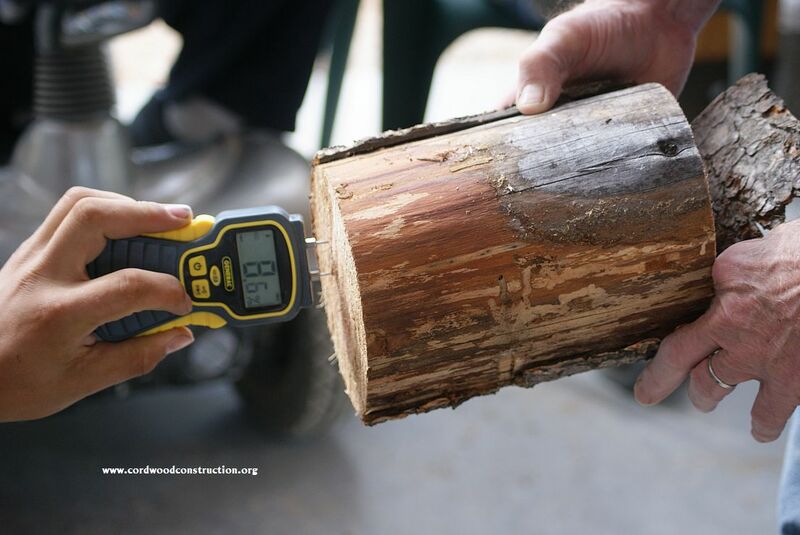 Lots of information is available if you take the time to scroll through the blog. 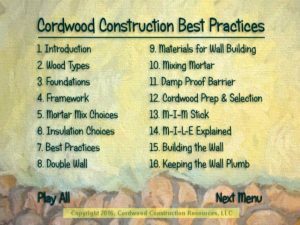 If you want to read more, check out the latest book on cordwood: Cordwood Construction Best Practices, available as an ebook, print or CD. 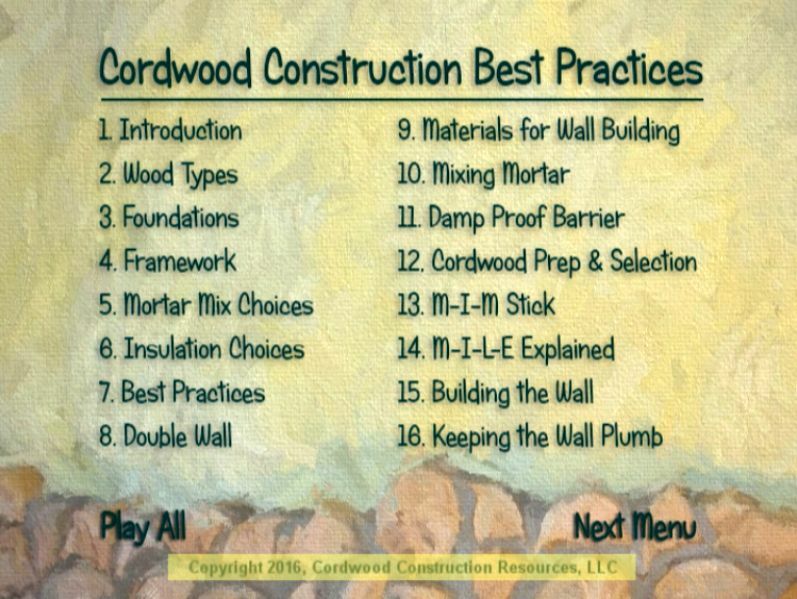 Use a Best Practices approach to building. 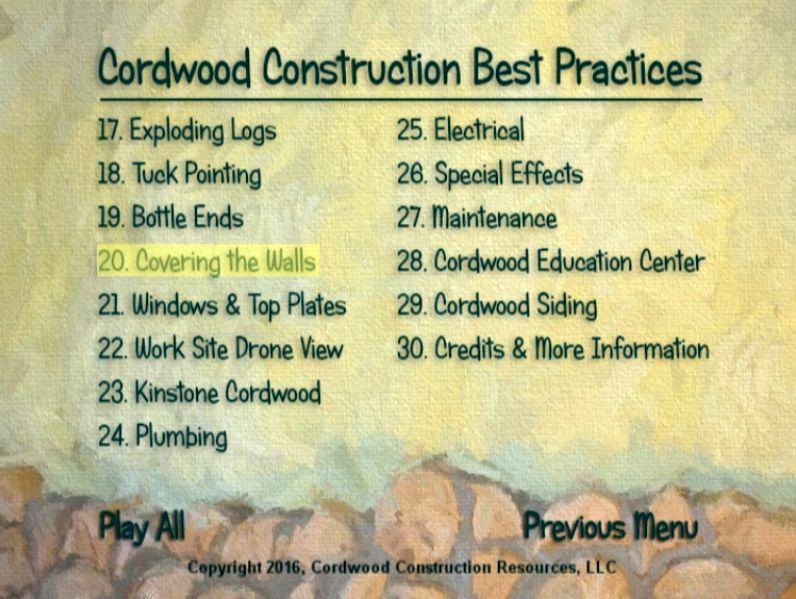 Watch current, up to date videos, read the latest literature, ask questions on cordwood social media sites. Get the right wood, dry it to it’s lowest moisture content, mix a workable mortar, let it set and cure properly and so on and so forth. 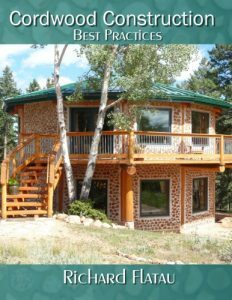 The following books and videos are the best on the market and will give you the opportunity to build a sturdy, tight, well-insulated cordwood home. 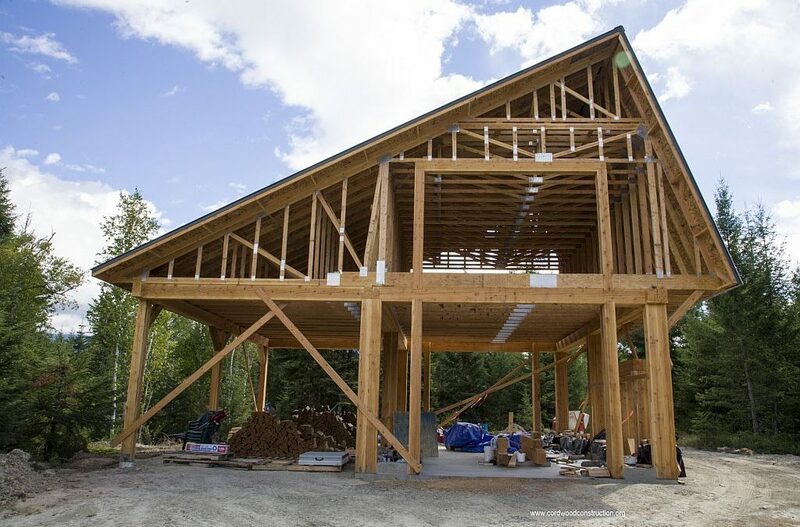 If you follow the recommended guidelines, for much less than a conventional home. 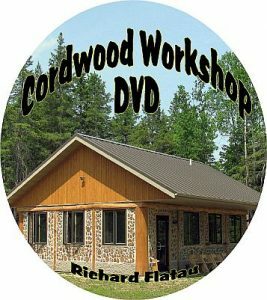 This is our current Cordwood Workshop DVD. 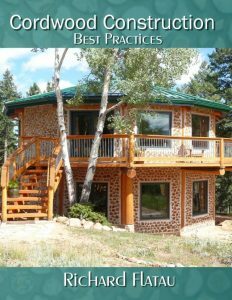 It will show you how to build a “best practices” cordwood home. It’s like taking a workshop from your easy chair.